A Florida Crackers’ gotta eat. 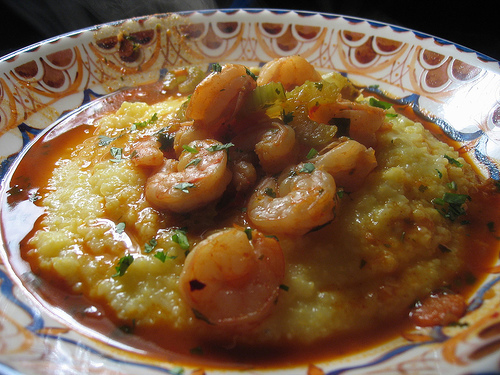 So we take some FL shrimp, blacken, put in some lemon juice and pour over yellow cheese grits. It’s what’s for dinner, or breakfast, you decide.